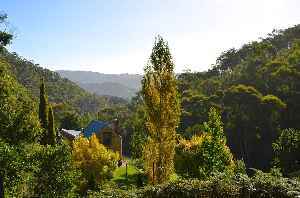 The Adelaide Hills region is located in the southern Mount Lofty Ranges east of the city of Adelaide in the state of South Australia. The largest town in the area, Mount Barker, has a population of around 29,000 and is one of Australia's fastest growing towns. A fire at an Adelaide Hills conservation park is burning out of control, with fire crews expected to continue fighting the blaze until Thursday at least. A fire in the Adelaide Hills is burning out of control but isn't an immediate threat to lives and property.